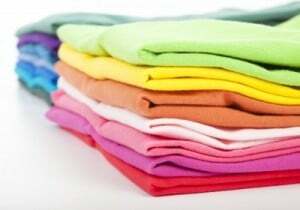 If you are in the market to spruce up your old wardrobe, do not just throw your clothes away. Donate your clothes to Goodwill or give them to a neighbor, friend, or family member. If your clothes are not in good enough condition to give to a local resale store, then think outside of the box. Instead of throwing your old tennis shoes away, recycle them. Turn your oldest frocks into rags for dusting, polishing, and cleaning around the house. Blue jeans can be made into a fashionable purse. Old shirts can also be turned into rag rugs. The possibilities are endless when you are recycling your old clothes!